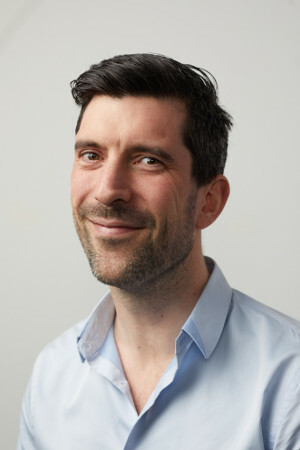 Michael has been fascinated with serverless, and managed services more generally, since the early days of AWS because he’s passionate about eliminating developer pain. He loves the power that serverless gives developers by reducing the number of moving parts they need to know and think about. In line with that philosophy, Michael has written libraries like dynalite and kinesalite to help developers test by replicating AWS services locally. He enjoys pushing AWS Lambda to its limits—a couple of years ago (before CodeBuild existed) he wrote a continuous integration service that runs entirely on Lambda called LambCI that can run builds in Node.js, Python, Go, Ruby, PHP, and Rust. It even compiles native code, and it interacts with GitHub and Slack. Michael also wrote a Docker image that is a complete replication of the Lambda environment for testing and building locally, with mock components swapped out for any that interact with the native Lambda systems. This library, docker-lambda, which he maintains and updates regularly, went on to become the underpinning of AWS SAM Local (now AWS SAM CLI). Whenever you're testing your Lambda functions using SAM CLI today, you’re actually using docker-lambda under the hood. 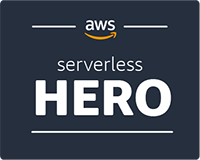 Michael has been fascinated with serverless, and managed services more generally since the early days of AWS because he’s passionate about eliminating developer pain. He loves the power that serverless gives developers by reducing the number of moving parts they need to know and think about. In line with that philosophy, Michael has written libraries like dynalite and kinesalite to help developers test by replicating AWS services locally. He enjoys pushing AWS Lambda to its limits—a couple of years ago (before CodeBuild existed) he wrote a continuous integration servicethat runs entirely on Lambda called LambCI that can run builds in Node.js, Python, Go, Ruby, PHP, and Rust. It even compiles native code, and it interacts with GitHub and Slack. Michaelalso wrote a Docker image that is a complete replication of the Lambda environment for testing and building locally, with mock components swapped out for any that interact with the native Lambda systems. This library, docker-lambda, which he maintains and updates regularly, went on to become the underpinning of AWS SAM Local (now AWS SAM CLI). Whenever you're testing your Lambda functions using SAM CLI today, you’re actually using docker-lambda under the hood.